Not being able to travel home this year has me feeling a bit nostalgic about New Mexico. New Mexicans pride themselves on being a little bit off-kilter – along with our love of green chile, there are some unusual Christmas traditions in the Land of Enchantment. No matter where you are, some of the New Mexico holiday fare can brighten up your Christmas. 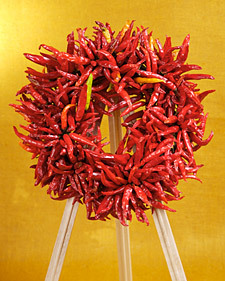 Ditch the boring old evergreen wreath and turn up the heat with a chile-pepper wreath that will burn its way into your heart for years to come. Martha can take the wheel on this one and show you how to create a stylish red wreath to display your New Mexico pride. Make sure to wear gloves – pepper juice in the eye can really put a damper on the holiday cheer. 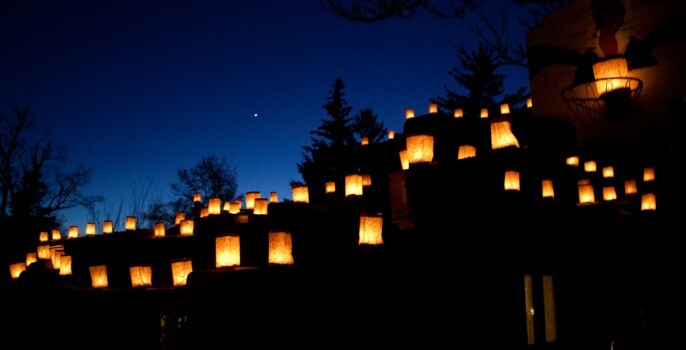 Visitors to Santa Fe during the holidays can take a walk down Canyon Road and see the luminarias lining the streets and walks (cover image). Luminarias are simple lights made with a paper bag, sand and a candle – they are a wonderful diversion from tacky eye-popping LED Christmas lights. Some New Mexicans call these glowing lights farolitos, but they City of Albuquerque website has it right – along with some instructions on how to make your own. 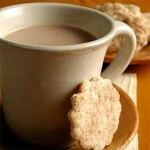 Just as in Mexico proper, many New Mexicans love a warm cup of hot chocolate at breakfast to start the day. Hot chocolate done right ditches the sugary powder and uses honey and spices to sweeten up real cocoa. Try a taste of New Mexican Hot Chocolate this holiday and you’ll never be able to go back to the Swiss Miss. Christmas in New Mexico isn’t complete without biscochitos, the official state cookie – you know you’re in a Land of Enchantment when there’s a state cookie. 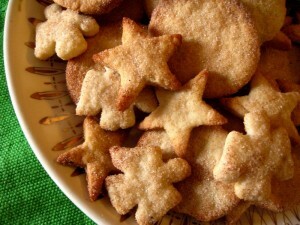 If you’ve made these little shortbread delights with water and butter, you’ve not experienced a real biscochito. Find a recipe that uses lard and wine, such as the one on Gabriela’s Kitchen, and whisk yourself away to the Southwest. Thinking about biscochitos paired with hot chocolate makes me drool a little – though I’m already prone to that from the pregnancy. Cover image by Will Keightley on Flickr.